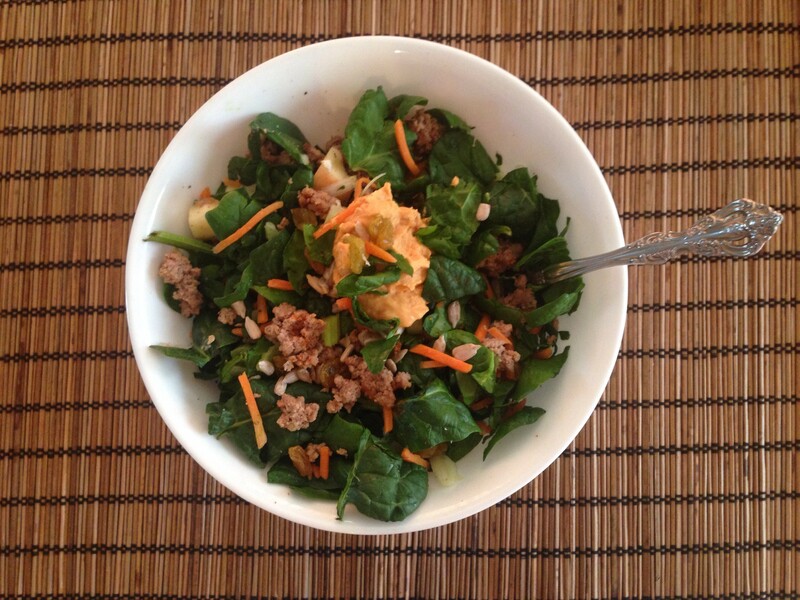 For lunch I made a delicious nutrient filled salad with spinach, sunflower seeds, raisins, carrots, celery, apples, onions and ground turkey with hummus as dressing. Hummus a thick paste made from ground chickpeas, sesame seeds, olive oil, lemon, and garlic, made originally in the Middle East. You can buy hummus in the vegetable section at your local grocery store or get crafty and make your own hummus.